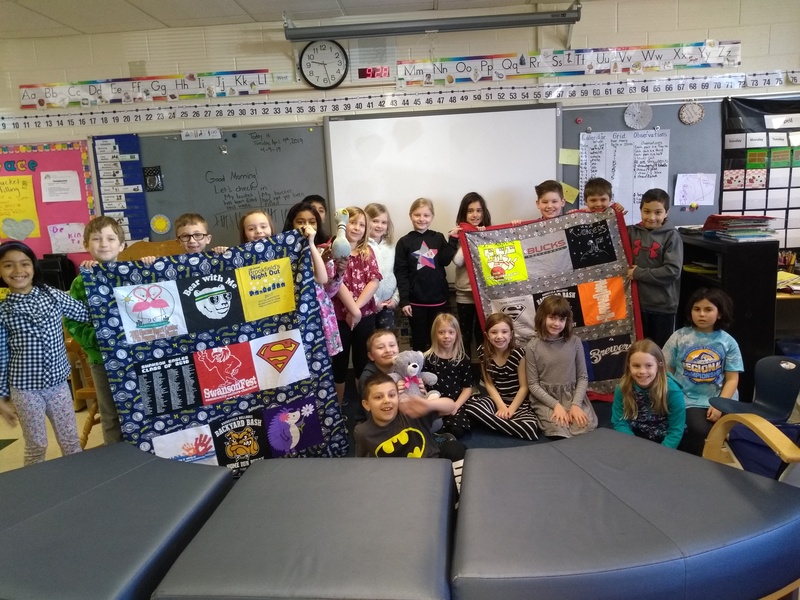 Mrs. Morales' class with the quilts using the t-shirts that they collected. Click below for more info. 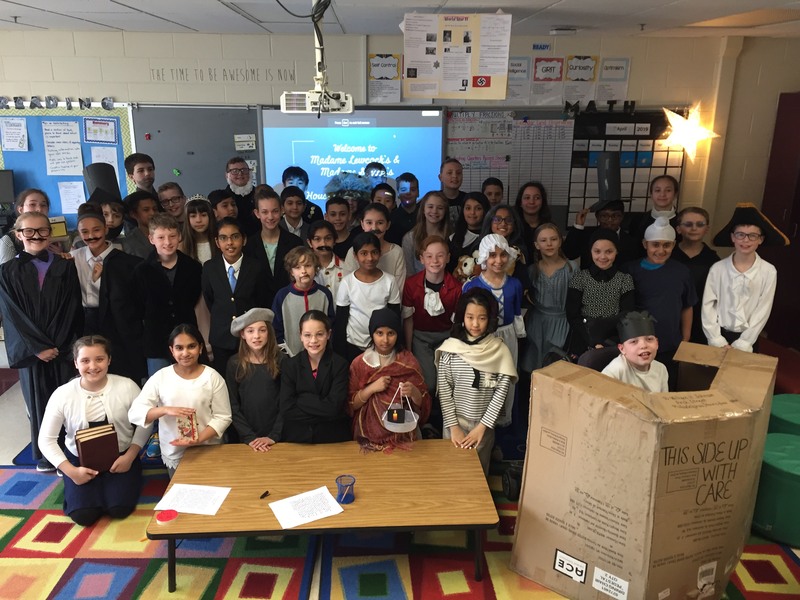 Swanson fifth graders completed their unit of study of historical figures by hosting a "wax museum". Families could visit each "exhibit" and learn about everyone from Rosa Parks to Abe Lincoln. In February, we had several students participate in the Wisconsin Mathematics League annual math 6 contest. Vaidehi, Matthew and Jay were also recognized among the top 44 scorers in the contest! 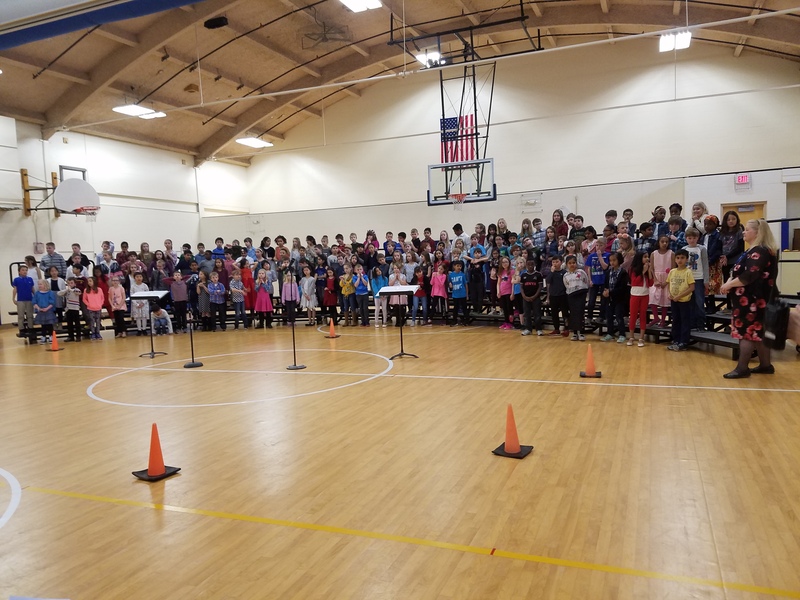 The third grade study of countries of the world culminated with classroom presentations and a concert of world music. 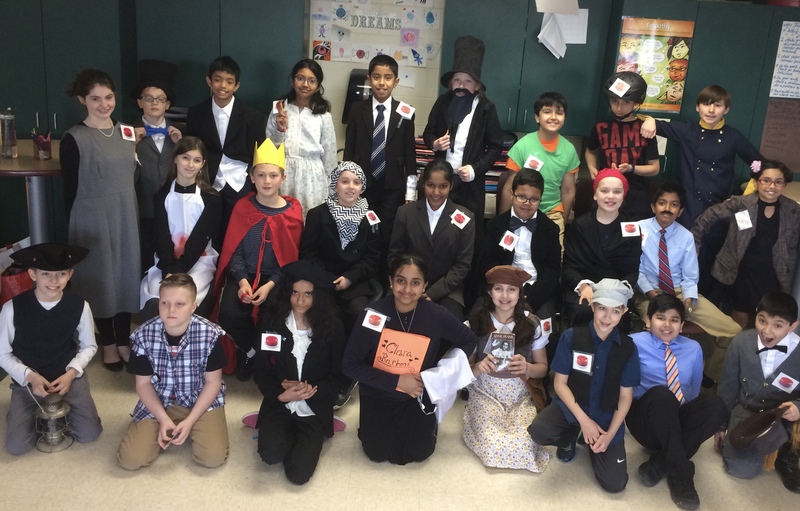 Songs from Russia, Nigeria, Ghana, Japan and more were performed. 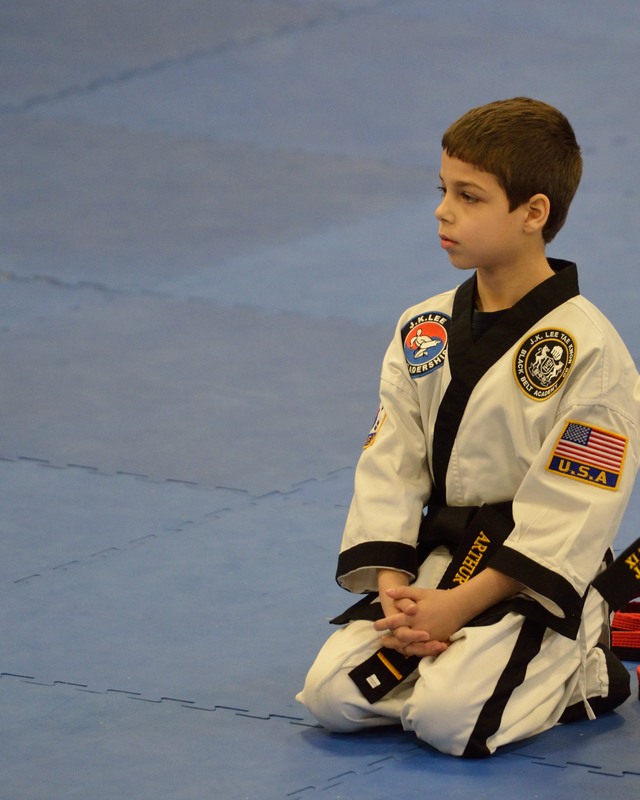 On Sunday, in Kenosha, Arthur Nagyerdei became the State-Champion in TaeKwonDo sparring in the 8-9 year old category. He also placed 3rd in forms. He has worked a total of 3 years and a half for all this, almost every day, often times 2+ hours a day. 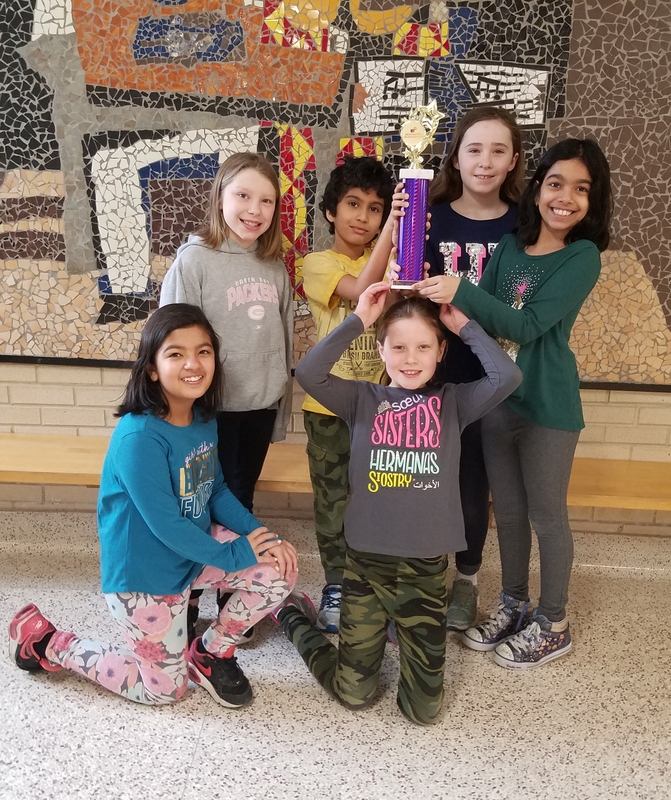 Swanson Elementary’s Power Pumas (Mira Chauhan, Addison Clark, Madelyn DePons, Neil D’Souza, Georgianna Janet, and Vedanshi Rajpal) competed at the Milwaukee Regional Destination Imagination tournament at Muskego High School on Saturday, March 9th. They placed 2nd place overall in the Improv category. Next they travel to Green Bay on April 13th where they will compete against teams from all over the state of Wisconsin. Read Full Story about Congratulations Power Pumas! 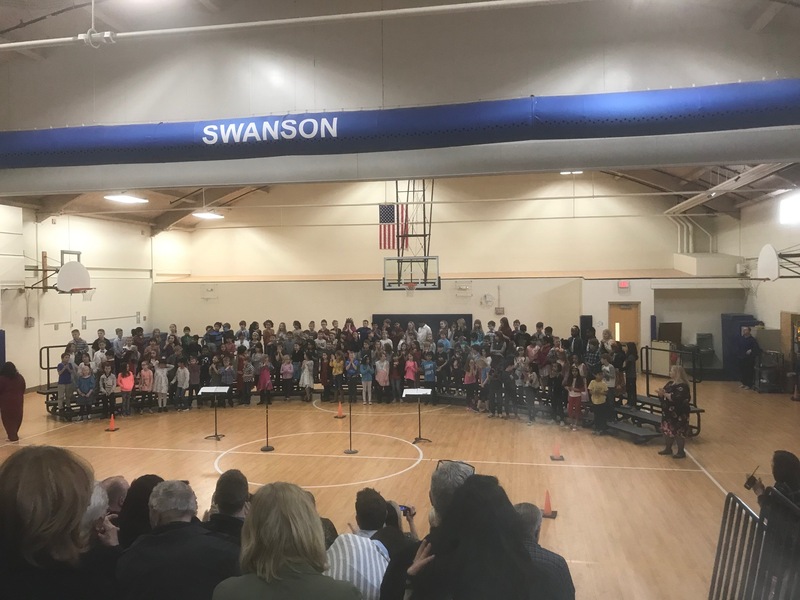 Swanson Student raises over $1000 for Jump Rope for Heart! Fifth Grader Arwynn Gartz raised $1,001.61 and counting of Swanson's $9,898.61 total donations for Jump Rope for Heart. Congratulations to Arwynn, a fantastic fundraiser, from all your friends at Swanson! Click below for full story! 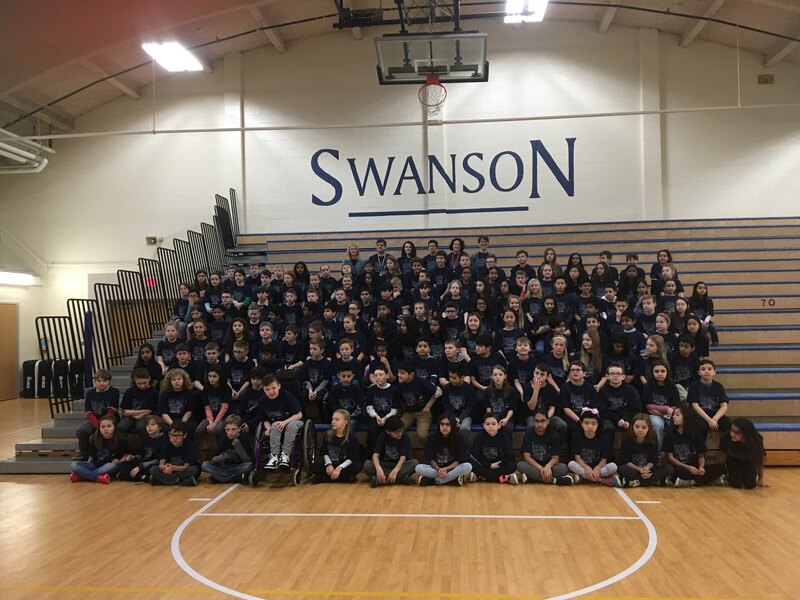 Read Full Story about Swanson Student raises over $1000 for Jump Rope for Heart! Read Full Story about First Graders Celebrate Bugs!